In a major speech, Chicago Mayor Rahm Emanuel outlined Building on Burnham, a comprehensive plan to invest in the Lakefront, the Chicago River, natural areas and recreational opportunities in neighborhoods across the city. This plan follows the Mayor’s successful expansion of Chicago’s park system in his first mayoral term, which has already added 750 acres of new parkland, 256 new playgrounds and more than $800 million in capital investment from neighborhoods and private sources. 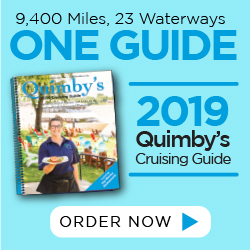 Building on Burnham centers around investments in four key spaces: Chicago’s lakefront; the Chicago River; recreational assets and programming; and natural areas. Chicago’s 26 mile lakefront is the city’s front door. Boasting lakefront beaches, a lakefront path and gathering spots, it is the most used park in Chicago’s system. To improve the experience for runners, walkers and bikers, seven miles of the 18 mile path will be repaved, and investments will be made to separate runners from bikers from Fullerton to Ohio and from 31st to 51st Streets. The Navy Pier flyover will also be opened. Additional gathering and recreational spaces will be created, including gathering spaces in the Burnham Wildlife Corridor, rebuilt and new pedestrian and vehicular bridges at 35th, Oakwood, 41st and 43rd, a pool and event space at 31st Street Beach Harbor and a triathlon training space at Ohio Street Beach. 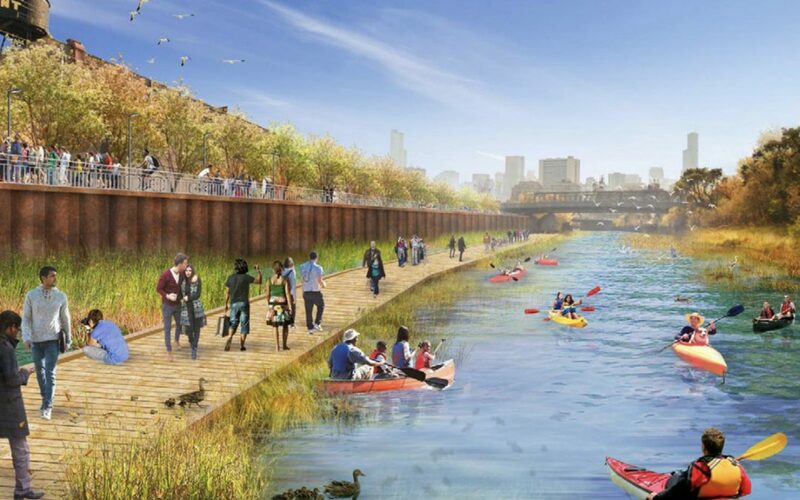 The Chicago River will continue its transformation into the city’s next recreational park by creating an opportunity for neighborhoods to access and enjoy the river at almost every mile from the city limits on the north to Little Village. Projects will include the expansion of the stadium at Devon and Kedzie, the expansion of the Riverwalk through development projects in the South Loop from Harrison to Roosevelt, the opening of the Eleanor Boathouse in Bridgeport, the connection of Pilsen and Little Village through a rails to trails project called the Paseo, and the construction of two bike/pedestrian bridges, Riverview Bridge at Addison, a modern, pedestrian-only bridge connecting the river east edge with the west in Albany Park and a bike/pedestrian bridge at Irving park that passes under the street at Horner Park allowing bikers, runners and walkers to avoid traffic. Building on Burnham will also continue to build out recreational assets and programming for children and families in every neighborhood. Parks and Chicago Public Schools will continue to invest in Recreation Core Areas across the city offering programs with a particular focus – opportunities that residents would previously have to travel to the suburbs or across the country to find. For example, a state of the art climbing wall will be built at Steelworkers Park, a world class indoor track and field facility is being designed at Gately Park on the south side, the new Big Marsh Bike Park focusing specifically on adventure sports and adventure biking in the Calumet area and a new mega-recreation facility at Addams/Medill park. The partnerships between the Park District, CPS and the Chicago Housing Authority will bring more programming and expanded hours at existing facilities. It will also allow community organizations to use space for their programs. Finally, the Mayor’s plan will invest in natural areas. Chicago’s wilderness has been called the flagship of the urban biodiversity movement. Today, the Park District manages 65 protected natural areas encompassing more than 1,400 acres. That acreage has been doubled over the past four years. Building on Burnham will take this expansion of natural areas to the next level, setting the goal of 2,020 acres of protected natural areas in the City of Chicago by 2020.